Mixit offers various workshops throughout the year as well as tutorial sessions for one to three people. Tutorials are handled on a request basis and are designed to meet individual and specific needs. In the summer months we offer residencies for artists who want a sequence of days to focus on a particular project, or just to experiment. If you need to cancel your participation in a workshop and want to receive a full deposit refund, you must do so before one week prior to the start of the class. Otherwise, we will refund one half of your deposit UNLESS you or Mixit find a replacement, in which case you will receive the full deposit. 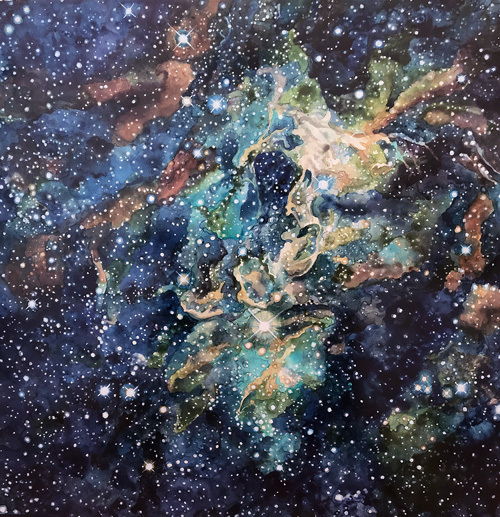 Luminosity and flowing marks of watercolor, combined with the surprises and complex multi-layering of painting on plexi transformed through the alchemy of working with a press. Explore these aspects of this medium and more as you print with watercolor on Plexiglas. We will review elements of working with watercolor, make "one-pass through the press" prints, ghost prints and multi-layered images. An expanded version of this workshop will be offered in July: see below. Pronto plate printmaking an easy and satisfying form of lithography. Using basic, inexpensive tools, such as sharpie markers, ballpoint pens, and floor wax, you are able to draw directly on the surface of the polyester plate. The plates can also be run through a laser printer or photocopier if you want a more photographic image. You are then able to ink the plate and print directly from your drawing. Though this process is simple, you can easily create complex and dynamic images by printing in various colors and layering multiple plates. Pronto plates can also be combined with other printmaking processes. Layers of color on a single printing plate make gorgeous monotypes and monoprints. Learn how to modify Akua Intaglio inks for a myriad of effects. Just as peanut butter will not stick to jelly, a loose ink will reject a stiff ink. This is true of traditional oil inks as well as newer, soy oil-based Akua Intaglio inks. Modifying the viscosities of inks leads to results unachievable any other way. Exploiting ink interactions yields multi-color prints from a single plate, and naturally leads to sequences of related images. Stacking layers of ink on one plate rather than separated on multiple plates, eliminates the need for multiple runs. With resists used as stencils, contrasting colors can be dropped in next to each other. Parts of an image can be protected from an over roll, and viscosities can give new dimension to relief blocks, stamps, texture tools, and cutout stencils. Take your printmaking to new and exciting levels. In this 5-day workshop you will learn how to etch copper and produce matrices you can combine with other plates to create rich, complex images. This intensive workshop will cover traditional as well as new, low-toxic methods of applying aquatints and various grounds. We will work with hard and soft grounds, dry point, spit bite, sugar lift, and white ground. These processes will enable you to achieve a variety of marks as well as subtle and varied tonalities. 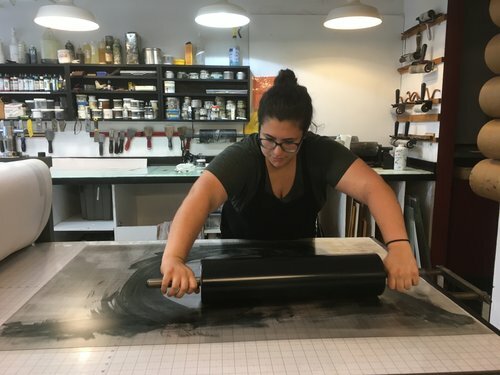 You will leave the workshop with a solid understanding of your intaglio options and how and when to employ them to your best artistic advantage. We will cover inking (with Akua, soy-based inks), wiping and printing. Individual and group critique will help you develop your ideas and technical proficiency. Students will have access to the spacious studio and resources of Mixit Print Studio before and after workshop instruction. The workshop is appropriate for all levels and individual assistance will tailor instruction to your particular needs and concerns. This workshop will introduce and deepen your understanding of how to mix, modify, and use inks to their full potential. 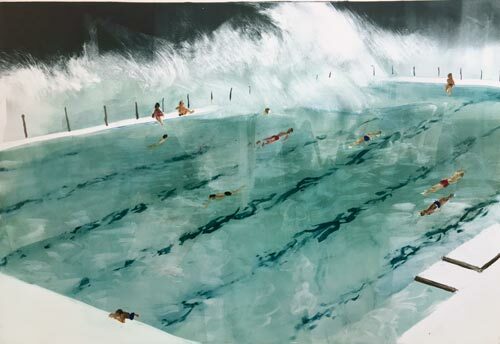 Explore these aspects of this medium and more as you print with watercolor on Plexiglas for an exciting combination of luminosity and complex color layering. We will review elements of working with watercolor, make "one-pass" through the press prints, ghost prints and multi-layered images. 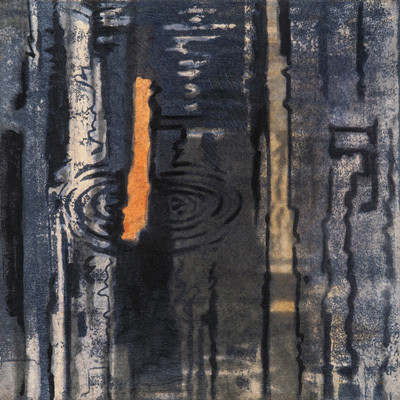 While the focus of this workshop is monotype, you can bring your previously created matrices (woodcuts, linocuts, etchings) to combine with watercolor layers. Alternatively, you can concentrate on watercolor at any level, with customized exercises and assignments for this immersive week of painting. Cost: $600 includes most studio and materials fees. $200 deposit. See details below. Joel Janowitz is offering a 4-day intensive oil-based monotype workshop at Mixit Print Studio. He will introduce a variety of monotype techniques including trace monotype, additive and subtractive inking, stencils, and multiple press runs. 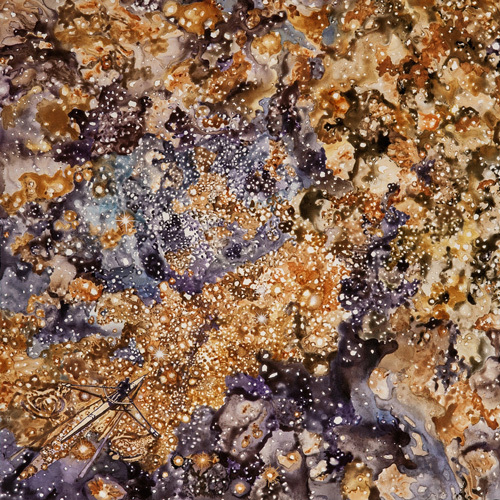 In particular, the workshop will explore viscosity printing –– the surprising and implausible ways printing inks of different viscosities (stickiness) interact with each other to build richly complex images. Includes 10 hours with an Intern Assistant for clean hands, paper preparation, press operation, setting out supplies, organizing, clean up, etc. It also includes project consultation with a Mixit Print Studio Partner. 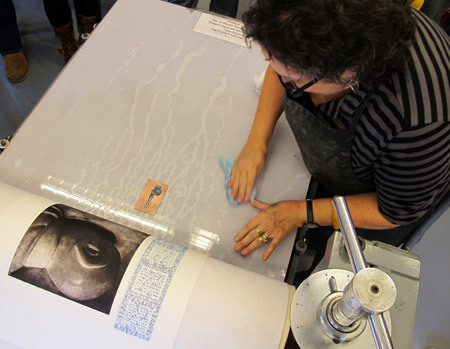 Work with Stacy Friedman for concept development, intaglio plate prep, pronto plates, relief printing, monotypes and monoprints, editioning, and curation.